A chronicle of an Indonesian in America, continued. In Part 1 of A Child of East and West, I told the story of my upbringing in the East and my Western-leaning brain. This post continues the story with my life in the West. This article is the sixth essay in a series titled Between Jerusalem and Athens. Read the first, second, third, fourth, and fifth here and here. Part 1 of A Child of East and West left off with me finding a match between my personal philosophies and approach to life in the West. The empowered sense of personal agency allowed me to discover myself without much social ties and constraints. This was the way to live, I thought. Over the years, however, I began to see the imperfections of this lifestyle. The individualist’s life was lonely and I missed, sometimes, the communal life of the East. But it was not just in daily lives. I also began to be dissatisfied with the hyper rational approaches in other areas. Once in graduate school, several friends and I attended one of those Christian vs. atheist debates, in line with the ancient Greek tradition from which Western thoughts emerged, on whether there could be morality without God. Debates were enjoyable intellectual exercises, where logic was the main medium to argue and persuade. After the event, I asked my friend, a non-Christian, about what she thought. She said it was interesting, although the atheist’s arguments sounded more logical to her. Being a Christian, my thoughts were the opposite—the Christian arguments made more sense—but I didn’t contradict her and was perfectly comfortable with her answer, because by this time, I already had a growing hunch that events like this didn’t always bridge people from two sides. It was not whether one side was more logical than the other; it was about psychology. We are more inclined to accept positions that agree with our preconceived ideas, and those arguments will literally make more sense to us. The reasoning is clearer due to familiarity, and even our physical reactions would differ when listening to someone we like and agree vs. someone we dislike and disagree with. These are natural cognitive biases, and unless we are conscious of these phenomena and fight the urge to dismiss arguments we don’t initially like, we may be fooling ourselves when we say, I came to an objective conclusion. In one of his social psychology experiments in The Geography of Thought, Richard Nisbett observed that when faced with evidence contradicting one’s previous beliefs, Easterners tend to average out and seek the middle way, while Westerners show more signs of further polarization. In this experiment’s case, they should have re-balanced their views and take into account all evidence, but they instead became stronger in their beliefs. Nisbett explained this by the Westerners’ ability to generate counterarguments against an opposing view combined with the impulse to choose one or the other as correct. When a contradicting argument is weak and they are able to argue against is, their beliefs are enforced (see backgrounds of this point in here and here). Sometimes, this approach is fine. But there are certainly cases where this is unfavorable, when instead of becoming balanced, people go into extremes. As both an engineer and a student of nature, I see many contrasts between human designs and nature. Human designs are often too linear: take raw materials, convert into something for a single purpose, then throw away the wastes, which pile and pile in a location unseen by the general public, creating the illusion that they don’t exist. Until one day, the wastes overstress nature and a crisis emerges. Ocean pollution, air pollution, and global warming are results of this type of behavior. The economists would say, externalized social and environmental costs; these are outside the scope of the polluters’ work, so no one’s paying for it. Natural processes, on the other hand, work in cycles. One’s discards are raw materials for another process, creating a system with net zero waste. The linear thinking starts with one objective–say, making money from selling meat–and optimizes everything to serve that one purpose. Along the way, people forget that animals are part of an ecosystem and that we can’t isolate them only to serve our economic goals (see objects vs. environment). The more I see this single narrative approach, the more I’m drawn to ecological models–holistic approaches that see interconnections between factors, appreciate complexity, see the whole and not just the parts. These are things that align more naturally to the ancient Eastern culture, although the linear thinking practice is now pervasive all around the world. As for my personal life, I crave certain integration between my intellectual, physical, and spiritual realms. I want to do engineering with soul, to have a vocation and not just a job, and I don’t want to be a fragmented or isolated human being. I miss robust communities, the human relationships that give life meaning. In the spiritual realm, the cerebral style of Bible studies and listening to sermons that nurtured my budding faith, eventually hit diminishing returns. As my knowledge increased, it became easier and easier to say the profound things, but with no real change in the life. How many more new sermons does one need if they don’t translate into tangible changes and actions? In an over-intellectualized world, ideas face the danger of being disembodied, widening the mind-body separation that Plato might have liked, between what we know and what we do. The poignant question is, If we know so much, why are we still doing the same things time after time? This, as I see it, is a symptom of intellectual gluttony. Yet there are times when I feel the most growth, the most integrated. These are when I can engage mind, body, and soul in the service of others. It is as if the fragmented pieces of me finally come together to form one whole person–me. It’s funny that while my body travelled geographically from East to West, I am only now rediscovering the East again. The sources of consternations above, the many years of questionings and seeking answers, along with serendipitous encounters with authors from various cultures, become an education that no school can give me. I should say that on a day-to-day basis, I am still very much Hellenized—logic and reason are still my modus operandi, especially in my line of work—but at least I am now aware that people reason differently around the world, and that there are strengths and downfalls to each paradigm. Life is messier than abstract concepts. As for my church experience, it turns out that churches in the East and West–or at least my church in Indonesia and in the US–operate differently. In a culture where arguing with logic can sometimes be seen as immature, it makes sense that reasoning faith out is not always the primary focus of in the life of the church. People come and stay, perhaps compelled first and foremost by the community before they are convinced by the tenets of truth. I see this many times and it is incomprehensible to me because I’m not wired that way. But people are different, and cultural tendencies are also different. Indeed, the community aspect in Eastern churches is so strong that, to me, they seem more integrated than Western ones; more people are involved in the day-to-day life and business of the church and members are more involved in each other’s lives. Of course, this level of involvement can be both good and bad, but in terms of the bond between people, it is definitely stronger. Personal connections do not only happen during the weekends, but throughout the week. I felt the strength of this community the most when my father passed away and my home church community held my family up day in and day out. Which way is better? Well, that may in itself be a Western question–the insistence that there is a correct and incorrect way. Maybe the Eastern in me wants to seek the middle way, that there’s something each culture can learn from each other. As a child of East and West, I am wishing for a convergence of these cultures that is symbiotic in my own life. At the very least, I can contextualize better now, taking cultures into account in my evaluation of things. Honestly, I wish I understood these things sooner. Things are much clearer now than they were 10 or 15 years ago; this knowledge would have helped me in my younger years. 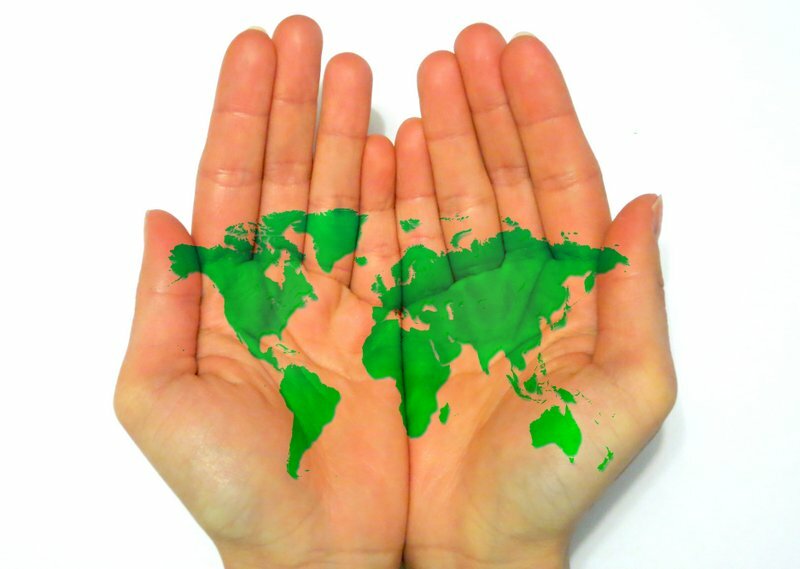 Perhaps there is something to say about cultural studies for kids, especially in today’s connected world, to help us understand each other in this global village. Which leads me to think about my future kids and their cultural heritage. While their parents are hybrids of East and West, they will be much more Western than me or my husband. In this sense, we will be of different cultures—their upbringing will starkly differ from mine, and I’m certain there will be conflicts resulting from this difference. Hopefully, knowing what I know now, I can understand them better and help them triangulate themselves in this world. This is the first part of A Child of East and West. This article is the sixth essay in a series titled Between Jerusalem and Athens. Read the first, second, third, fourth, and fifth here and here. On rare occasions, fragments of thoughts and life experiences can converge into a coherent narrative. This is one of those moments. In my quest to understand the world that forms the essence of this blog, I also gain an understanding of myself, my coordinates in this world. My recent exploration of the Eastern and Western mindsets (Part 1: Why They Differ and Part 2: How They Differ) inevitably led to some self diagnosis on who I am and the backdrop of my existence. These two posts serve as the springboard for this personal essay, and I’ll be using the terms Western and Eastern as they have been described in those posts. As an Eastern living in the West who is nearing a 50-50 split of residency in two cultures, I see myself as a child of East and West. This is my personal story through the lens of these world cultures. I was born to a Chinese-descent family, both sides, who had immigrated to Indonesia for several generations. In simple words, I’m Eastern, even though the term “East” is an oversimplification of the range of Easternness encapsulated in my background. My Chinese heritage certainly bears traces of the ancient Chinese culture described in the Asian and Western Minds posts (Part 1, Part 2), but Indonesia itself is an interesting case of the East, a confluence of cultures from different parts of the world. I grew up being exposed to a plurality of ethnicities and religions, all within the country, which bore an impression on me. Jakarta as a city that attracted people from across the country and Java, an island that seemed comfortable embracing multiple philosophies in its culture, would befit an environment that can be called Eastern. The role of community, the embracing of change and cyclical nature of life, were themes familiar to me from childhood. Yet even as an Eastern child, my mind and personality had always been Western-leaning. My brain was wired to be fascinated with logic, analysis, categorizations, linear and either/or thinking, which went hand-in-hand with my fascination with science and mathematics. I found the search for and getting the right answer incredibly satisfying, and I subscribed fully to paradigms like the law of noncontradiction, though I did not know it then. I craved clear boundaries and rules and coherent arguments, which, living in the Indonesian society, were often problematic. Rules bent, words were not always exact and most everything was negotiable. My dad used to say to me, “The world is not that simple.” Things were too black and white to me, and I struggled with the fuzziness of boundaries. At 17, I crossed the world and landed in Boston to pursue higher education. Amazingly, even though home was half the world away, I never experienced culture shocks. In fact, in terms of the intellectual culture of the West, it felt like a homecoming. Sure, there were cultural barriers I faced, such as my inability to participate in class discussions due to my non-Socratic Eastern education. The way I saw it, I should keep my mouth shut when I didn’t have anything substantive to say. Thankfully, my engineering path did not require me to speak in class often, and the nerdy MIT world, where science–the pinnacle of Western thinking–abounded, felt comfortable. Things either worked or they didn’t. Parallel to my academic journey, coming to the US also felt like homecoming for my faith journey. It was in the buzz of university campuses with the cerebral and scientific approach to everything that I gained footing for my personal beliefs. Apologetics, intellectual arguments for and against the Christian faith, and the dissecting of the Bible to find a coherent system of beliefs, became the anchor of my spiritual path. It was particularly important to me that beliefs were coherent and philosophically sound, and I found this emphasis on reason in the West refreshing. I often thought in college, why was I not taught this earlier–to reason cogently from the Bible for all tenets of my faith? What was wrong with my home church? Do they not care about theology? Today, I think I know why there were different emphasis in the East and West, which I’ll get to in the second part of this essay. Given the bent of my personality, I thrived in the West. I felt liberated living as an individual and discovered myself through this independence. I was pleased to not be tied to the pervasive social requirements of the East. This was the way to live, I thought. Over the years, however, I began to see the imperfections of this lifestyle. The individualist’s life was also lonely and I missed the communal life of the East. But it was not just in daily lives. I also began to be dissatisfied with the hyper rational approaches in other areas. 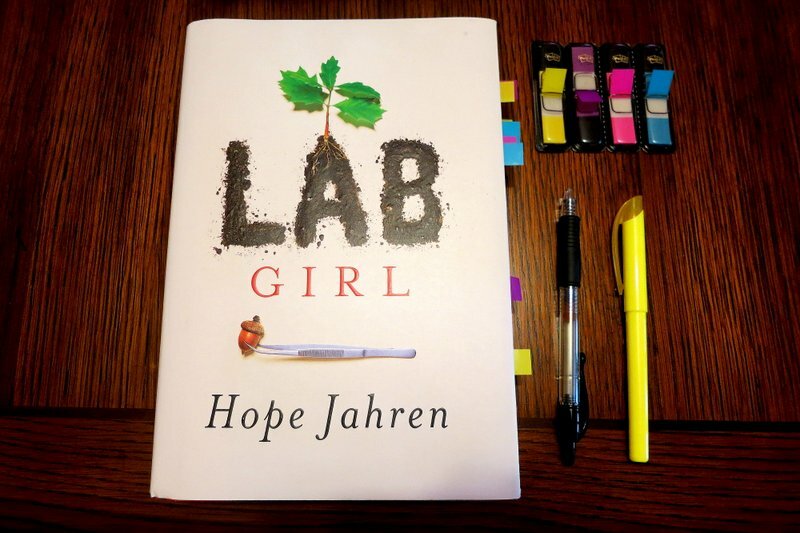 This is an excerpt from Hope Jahren’s beautiful book, Lab Girl, on the joy of discovery, its mysterious and magical wonder of both the smallness and the magnitude of a single scientific finding. Any PhD student, current or otherwise, can appreciate this experience. When a lab experiment just won’t work, moving heaven and earth often won’t make it work–and, similarly there are some experiments that you just can’t screw up even if you try. The readout from the x-ray displayed one clear, unequivocal peak at exactly the same angle of diffraction each time I replicated the measurement. The long, low, broad swoop of ink was totally unlike the stiff, jerky spikes that my advisor and I thought we might see, and it clearly indicated that my mineral was an opal. I stood and stared at the readout, knowing that there was no way I had–or anybody could have–possibly misinterpreted the result. It was opal and this was something I knew, something I could draw a circle around and testify to as being true. While looking at the graph, I thought about how I now knew something for certain that only an hour ago had been an absolute unknown, and I slowly began to appreciate how my life had just changed. I was the only person in an infinite exploding universe who knew that this powder was made of opal. In a wide, wide world, full of unimaginable numbers of people, I was–in addition to being small and insufficient–special. I was not only a quirky bundle of genes, but I was also unique existentially, because of the tiny detail that I knew about Creation, because of what I had seen and then understood. …I stood and looked out the window, waiting for the sun to come up, and eventually a few tears ran down my face. I didn’t know if I was crying because I was nobody’s wife or mother–or because I felt like nobody’s daughter–or because of the beauty of that single perfect line on the readout, which I could forever point to as my opal. I had worked and waited for this day. In solving this mystery I had also proved something, at least to myself, and I finally knew what real research would feel like. But as satisfying as it was, it still stands out as one of the loneliest moments of my life. On some deep level, the realization that I could do good science was accompanied by the knowledge that I had formally and terminally missed my chance to become like any of the women that I had ever known. …I wiped my face with my hands, embarrassed to be weeping over something that most people would see as either trivial or profoundly dull. I stared out the window and saw the first light of the day spilling its glow out upon the campus. I wondered who else in the world was having such an exquisite dawn. …Nothing could alter the overwhelming sweetness of briefly holding a small secret that the universe had earmarked just for me.